Last week something wonderfully unusual happened and we found ourselves all in the same place at the same time! We were meeting for a writing weekend to begin work on the music for Kolar’s Gold and after confirming important details such as who would bring gin, and who would pick up beers, we were good to go. For us the writing process is a very collaborative one. Someone will bring a tune or idea to the group, and together we turn it into a complete piece of music. It’s a melting pot of ideas, we try out all of them (however unusual! ), sometimes our first idea is the one we go with, at other times we try numerous approaches before finding the right one. For this project, we have the added consideration of how to combine our own ideas with those of the Indian musicians we are collaborating with. This would be a far simpler process if we could all be in a room together, but as Laura is the only band member that will be meeting the Indian musicians in person, much of the joint composition will be done over the internet. Luckily we are working with a very accomplished composer/arranger/performer in India and a talented group of musicians. We will announce these collaborations very soon. By Thursday night we had ‘rough drafts’ of 4 of the pieces for Kolar’s Gold. We went home, listened to them (a lot), and came back the following morning to revisit and revise the work of the previous day. On Friday, after hours of writing and rehearsing we decided to clear our heads and walked down to Neal’s local beach. We couldn’t resist taking the music with us and spent some time singing together in a large cave, a very magical experience, so much so that even reluctant singer Tom joined in! It was incredibly beautiful, but the intention of re energising us was questionable after we hauled ourselves back up the steep cliff with the assistance of a rope and wobbly railing and collapsed at the top in need of an afternoon nap! After 12 hours writing and rehearsing and sustained by a tasty vegan curry, we had achieved a lot, but were in need of a break, a fit of giggles signalling it was time to abandon music for the day. On Saturday we played a sell out gig at The Old Library in Bodmin, a fantastic new venue run by intoBodmin, an organisation doing transformative work within the town. It was a very special night and only our second ever gig with drummer Richard Morgan who has brought a whole new energy to our music. Richard’s composition and arranging skills were put to good use over the course of the previous few days! We are really pushing ourselves musically in this project and after two days we were mentally and physically exhausted, but feeling incredibly lucky to have this opportunity, and to be doing it as a group of musicians that have a lot of love and respect for one another. It would be an impossible task without that. For several months now we have been planning a project behind the scenes that we are now finally able to make public! Almost by accident we stumbled across the fact that there was a large community of Cornish miners living and working at the Kolar Gold Fields (KGF), Karnataka, India from 1890- 1940 and beyond. Very quickly it became clear that this fascinating story had been all but forgotten in conversations of the Cornish Diaspora and we felt very strongly that this was a story that needed to be told. After the intial discovery we set to work reading and researching about the Kolar Gold Fields and the project began to take shape. The momentum of the project grew largely thanks to contacts made in India- Mrs Gayatri Chandrashekar, Mrs Bridget White Kumar, and Dr S. SriKumar all of whom have written fascinating books about the Kolar Gold Fields and who have all responded to our questions and initial ignorance with warmth, patience and a wealth of information. So, what are we actually planning?? Well, all the research so far has been leading up to our project start date 1st February 2019. We will spend a year on the project and by the end of it we will have produced a CD of music, an accompanying booklet, a dedicated section on our website and a short film telling the story of the Cornish miners and their Indian counterparts who lived and worked at KGF. Music was and is a huge part of life at the Kolar Gold Fields and our project will reflect that, with new compositions, traditional Cornish and Indian folk music, songs, hymns and carols we know to have been sung at KGF by Cornish miners, and, most importantly it will be a collaboration between us and musicians from the Kolar Gold Fields area. It is very important to us that we tell all sides of this story and represent the different cultures that coexisted at KGF. We knew that for the project to work we would need funding, and were thrilled when both the Arts Council England and Cornwall Heritage Trust agreed to support us, we are incredibly grateful for their support. From February we will have a dedicated project section on our website where as well as keeping up to date with our progress you will also be able to read individual stories of Cornish miners, find more general information about the Kolar Gold Fields, and specific resources such as a list of the Cornish miners who lived at KGF and the music we know to have been performed there. 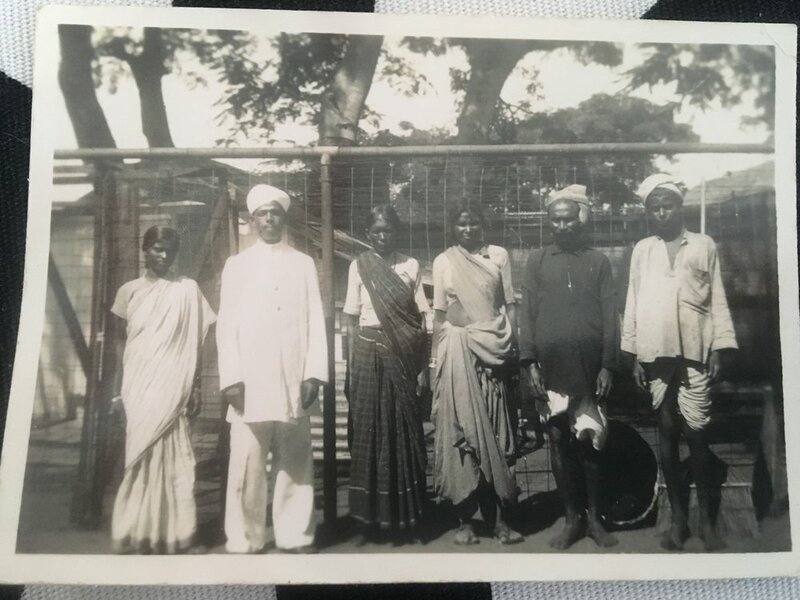 If you have any information you would like to share, if you had relatives who lived at the Kolar Gold Fields or would just like more information you can email us at therowantreemusic@outlook.com. *Photographs belong to Pauline Tamblyn Bick (Cornwall) who was born at KGF and who has shared with us the story of her father Roy Tamblyn who lived at KGF with his family. We are very grateful to the family for their support of this project and for sharing their story with us. A weekend in East Anglia, new projects...and a new band member! One of the more unusual things about The Rowan Tree is our geography. As a band some of us live in the most westerly part of the UK (Cornwall) and Tom lives in the most easterly (Norfolk). This presents us with lots of challenges, but we try to think creatively round the fact we have a 7 hour drive if we want to make music together! Technology plays a big part, 'Tresor' (our winning song at Liet International) was composed by all four members of the band over WhatsApp, and we chat most days on messenger. When it comes to rehearsals, what would often be spread over many weeks if we lived closer gets condensed into weekends, and we've disovered that when we are together we work very quickly when it comes to arranging or composing new material, just as well when you only get a few hours together every now and then! Tom has spent many long hours driving between Norwich and Cornwall this past year, and it was about time we did it the other way round! So Neal, Rich and Laura set off from Cornwall to East Anglia for a weekend of working on new material, meeting our new drummer(! ), a gig in Norwich...and planning some exciting new projects we'll be working on soon. A 'quick' stop at Chapel Cross Tea Room just off the A303 turned into a rather longer stop. We ate cake in the sun, sang in the converted chapel, met the lovely owner Rose and by the time we left we’d arranged to go back and play a gig there in a few weeks time! We arrived in Suffolk quite late on Friday evening and reunited with Tom, drinking wine, catching up and talking through plans for the coming year. The following morning we began work on a really exciting commision for the Lowender Peran festival. We will be performing in the 'Levow Brythonek' concert which is a collection of Cornish, Breton and Welsh songs, alongside the Lorho-Pascos from Brittany and members of Jamie Smith's Mabon from Wales. It was great to be working on new material and by lunchtime the songs had taken shape enough for us to make rough recordings to practice along to until we can next meet together. After lunch we met band artist and all round lovely lady Gilly Middleton (Alisier Art) for a quick drink, before heading over to Lowestoft for dinner with Laura and Tom's family. We were very fortunate to be given use of a studio at The Seagull Theatre in Lowestoft for a practice session so the theatre was our next stop. Since we began the band Tom has been doing an impressive job of playing both guitar and drums (sometimes at the same time!) but we had been considering the possibility of bringing a drummer into the band for a while. Tom's friend and mega talented dummer Richard Morgan had recorded drums on our EP, and when Tom approached him about playing drums with us on a more regular basis he was up for meeting us and having a jam. We only had a couple of days in East Anglia so had booked a gig in Norwich the following day. It's testament to his talent (and bravery!!) that Richard agreed to play a gig with us only 24 hours after meeting us for the first time! We rehearsed all evening and Richard slotted in to the band as if he had always been there. We met again the following morning to run through the set then packed up and drove over to Norwich. Norwich describes itself as 'a fine city', and having returned to the car (after a trip to the pub and a look round the cathedral) to find we'd left a door wide open and all instruments were still inside, we decided it was a very 'fine city' indeed! Our gig that evening was at The Mitre Norwich, Tom's local and a beautifully renovated pub. The staff at the Mitre had been really helpful promoting the event and they were equally as helpful and welcoming in the 'real' rather than virtual world! 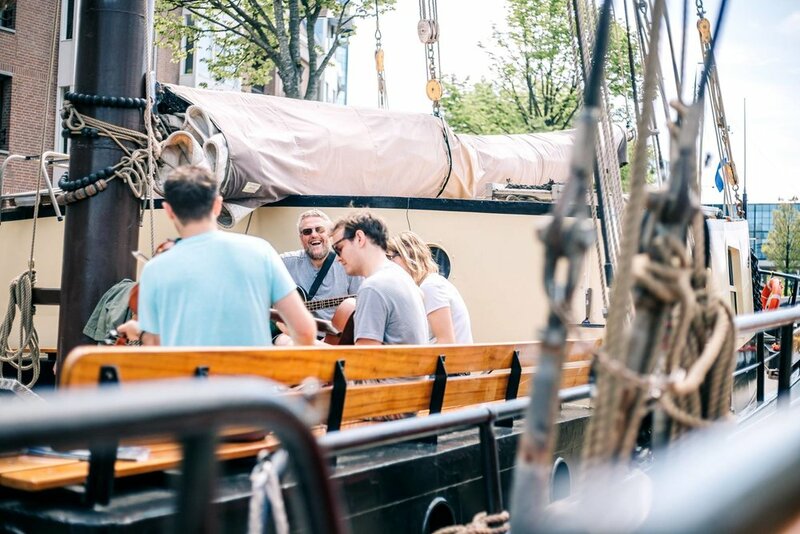 We were joined by local band The Shackleton Trio and it was a treat to listen to them, their wonderful albums provided us with a soundtrack on the journey back to Cornwall. We spent a lot of time plotting future projects while we were away, and while it’s too soon to reveal any details we can give a couple of hints…Let’s just say that Tom’s unusual (weird) obsession with the A303 will be put to good use, and we will be exploring an area much further East than East Anglia. Next year’s going to be an exciting one…watch this space! The Rowan Tree & The Grenaways play Echos & Merveilles, Toulouse! We had a couple of weeks at home catching our breath after the Pan Celtic then was time to hit the road once more, this time to Echos Et Merveilles in Toulouse, France. On this trip we were joining The Grenaways and taking both bands to play at this unique festival. Ireland had been our first trip as just one band and had felt strange to be away without our Grenaways family, so we were very happy to be reunited. There was however a spare seat on the plane, meant for trumpet player Claude who was stuck at home in hospital. We missed both his playing and company! On Friday morning, after a good night's sleep at our hotel, Tom was met at the airport and we headed to Le Bascala in Bruguieres. All the volunteers, organisers and crew made us very welcome and we were spoiled with a 3 hour soundcheck! The Rowan Tree were first to take to the stage, and after listening in the wings to the beautiful sounds of Eirdan and the enthusiastic crowd, the nerves were replaced by excitment. The Toulouse audience didn't disappoint and between the cheering, dancing and incredible lights on stage we couldn't fail to find this one of the most exciting gigs we have played so far. After the surreal experience of signing and selling out of CDs we joined the audience to watch the mighty Neko Light Orchestra who wowed us with their magical performance and musicianship! Rather later than we're used to (we need to work on our Rock n Roll body clocks!) The Grenaways took to the stage for our headline gig. The audience's enthusiasm and the fantastic atmosphere of the festival meant that this was another gig to remember. Our experience of playing in France will stay with us, and is one we hope to repeat very soon! The festival itself was a wonderful mix of craftsmanship, battle re-enactments, beautiful music and unity amongst people with common interests. It was an honour to share the stage with bands such as Faun and Fanel who really knew how to put on a show! Thank you to all the fellow musicians we met and new friends that were made over the weekend. 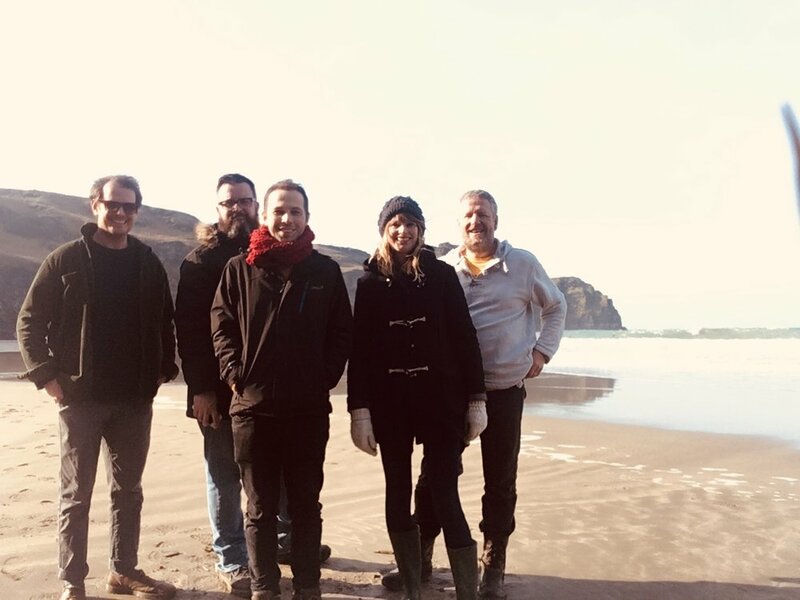 Special thanks to Nicolas and his team for all their hard work over the weekend, and to the wonderful Franz who not only ferried us around all weekend but was also a joy to spend time with and whose beautiful CD kept us sane on the late night drive home back to Kernow!